As one of our most trusted kitchen accessories, it’s no wonder that our crock pots and slow cookers need a thorough cleaning every now and then. While many of the modern designs allow you to simply place them in the dishwasher after use, there may still be some stubborn stains left behind. 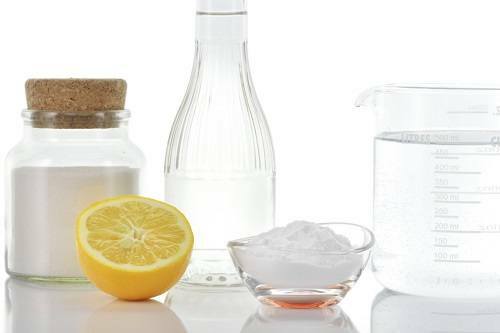 Thankfully, these kitchen wonders are not too hard to clean, and there’s no need to reach for any harsh chemicals or powerful manual labor to get them looking brand new again. Here are a few tips for cleaning a slow cooker that can help to remove any level of cooked in food from your favorite kitchen appliance. Heat is one of the most effective tools we have in cleaning, particularly when using water. This is where the crock pot can really come into its own and perform an automatic clean all by itself. 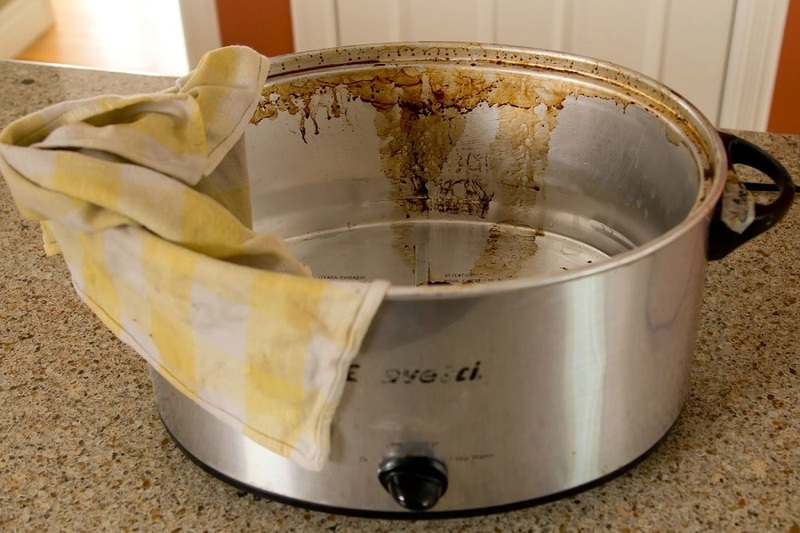 Huffington Post recommends before attempting a crock pot cleaning, you can help to loosen up stuck on food and other stains by filling with a bit of water and letting it cook on a low heat for an hour or so. By doing this, you’re helping to remove the really caked on stains, and you might be able to save yourself some hard work scrubbing later. You may find that after an hour of soaking in hot water, your crock pot clean is done. Rinse out the water and give it a good wipe down, ensuring you get into the corners and cracks as well. If there’s still additional stains or food cooked in, move on to the next step. If you’re trying to achieve a clean slow cooker and hot water isn’t enough to remove the trouble stains, you can reach for a few easy household items to give it a chemical-free clean. As we use these appliances to cook for our family and friends, we don’t want to be cleaning them with harsh or dangerous chemicals, so it’s best to keep it as basic as possible. According to Woman’s Day, there’s a simple fix for cleaning a crock pot that doesn’t have too much mess baked on. Pour some baking soda onto the stains first and then give them a good scrub. If you find that doesn’t do the trick, you can try pouring baking soda, a bit of water, and some dish detergent into the pot and set it on high for a few hours to cook. For extremely stubborn stains that require a bit of heavy duty cleaning action, there’s another natural method you can try. If you find that soaking and scrubbing just haven’t been effective in getting a clean crock pot, try these products next. Place half a cup of distilled white vinegar and half a cup of baking soda into your crock pot, and then fill with three quarts of water. Set your cooker on high for four hours, and give the inside of the pot a good scrub once every hour. Some people believe that cleaning their slow cooker is a chore they’d rather not do, and thankfully there is a handy invention available that can assist. A slow cooker liner is exactly as the name suggests, a simple sleeve that you insert into your crock pot to help prevent the stoneware and steel from getting food stains. Once your meal is cooked, you simply throw away the liner and you’re left with a clean crock pot. No more cleaning crock pot insert or trying to scrub away for hours if you have seriously caked on stains. These inventions aren’t for everyone, though, as many serious cooks believe they take away from the flavor that their trusted stoneware gives. If this sounds like you, you’ll need to stick to performing a thorough clean whenever your slow cooker needs it. 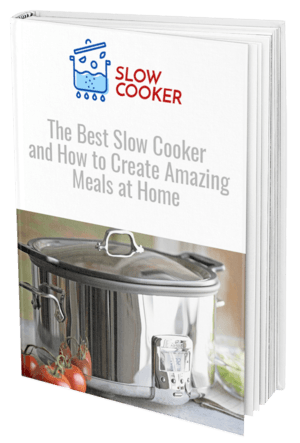 There are a few simple things you can do to care for your slow cooker so that you don’t end up spending hours trying to get it clean after preparing a meal. Once you’re done serving your meal, give the crock pot insert a quick rinse under the tap. This should be done before cleaning further, whether it’s in the dishwasher or by hand, but needs to be the very minimum amount of clean you perform instantly. If you’re cleaning your crock pot straight away, there should be no need for harsh scourers. These can scratch the inside of your pot and cause the finish to chip away and come into contact with your food in the future. This area is prone to stubborn stains, so make a note to check it each time you lift the lid off. Any food that’s trapped around the rim will become hard, and may be difficult to remove during cleaning. 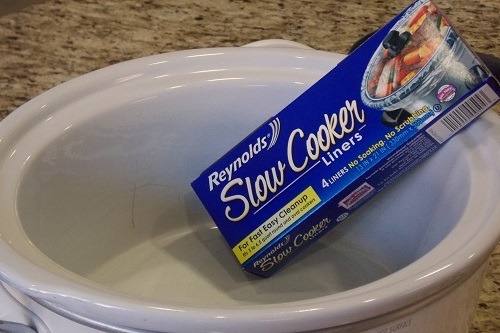 This is an easy way to burn your slow cooker and cause stains. You should always enter all of the ingredients into the pot first before turning it on. Avoid harsh chemicals on your crock pot, as these can be damaging to its finish and also to your family. 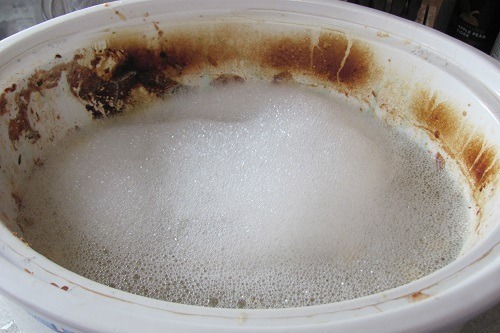 Natural things such as baking soda and vinegar are all you need to achieve a heavy duty clean on your slow cooker. As a slow cooker is designed with heat supplied all around the pot and not just through the bottom, you need to ensure you fill it at least half way with liquid and ingredients to prevent it from burning.